By now you’ve probably read the news that Microsoft is pushing new Office 365 tenants with 500 or fewer licensed seats to use Teams. In other words, they’re removing the option to deploy Skype for Business Online now and move to Teams later. Personally, I think this is the right call. Skype for Business Online is the past and Teams is the future. It doesn’t make sense for new Office 365 tenants to begin using the platform of the past and then have to go through the migration (always traumatic for end users) to Teams. Some of the commentary I have seen is in the “shock, horror” category and some is almost abusive of Microsoft, saying that this step removes customer choice. It does remove a choice, yes, but it’s surely in the domain of a software vendor to give strong and emphatic advice about the best communications platform to use, especially to smaller customers who might not have the in-house expertise to make that call. I suspect that most of the angst around Microsoft’s decision exists in the partners who guide small tenants through adoption and deployment. To be fair to those partners, they have probably been blindsided by the announcement and discovered that it negated a lot of work they’ve done with customers. Partners now have to revisit plans and expend added effort to work with customers to focus on Teams instead. You could argue that the partners should have been recommending Teams in the first place, especially for new tenants, but life isn’t always so perfectly obvious and straightforward. In any case, the news is out and customers have to cope with reality. Teams is the primary communications platform for Office 365. It’s where the future is and it’s where customers should be going. 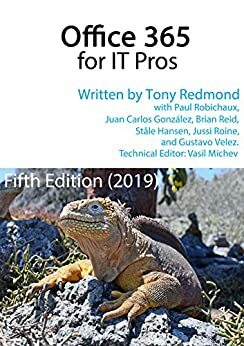 And if you need to be convinced, read Chapter 13 of Office 365 for IT Pros to learn about Teams and Chapter 16 to get up to speed about video and audio communications.